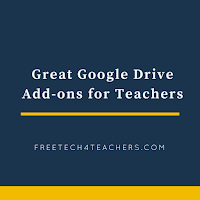 Last year I published a free PDF handout that highlights great Add-ons for Google Docs, Forms, and Sheets. The handout also included a few of my favorite Chrome extensions. A year passed and it was time to update that handout for the 2016-17 school year. The updated version of that handout is now available to download here or view as embedded below. 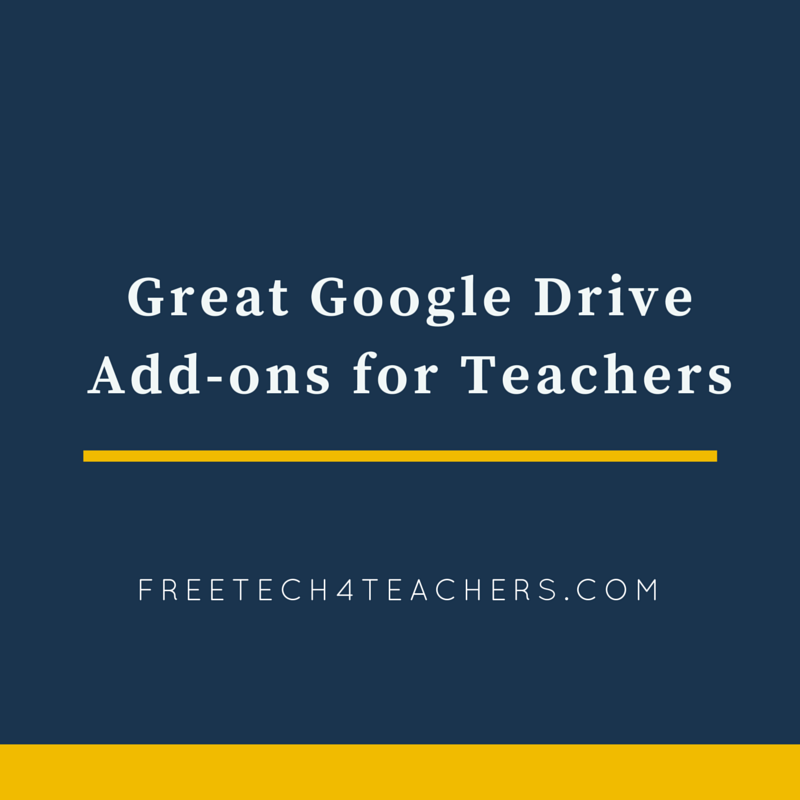 The handout highlights my favorite Chrome extensions as well as my favorite Add-ons for Google Docs, Forms, and Sheets. Please feel free to email it or print it and share it with your colleagues. Please note that the file is hosted on Box.com. If your school blocks Box.com you won't be able to see the document on your school's network.